GiLoCatur is at office in Selangor at the time of writing this entry. Quite sad for not being with GiLoCatur's children to give moral support during the penultimate stage of MSS chess competition. Since Anis' first participation in the MSSM chess championship back in 2009, GiLoCatur had been at the championship's venue. 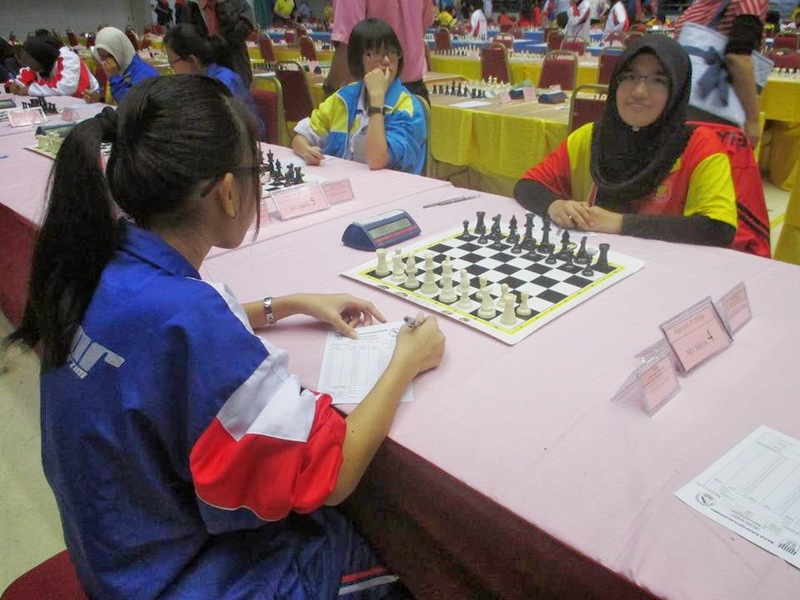 But for this year edition held in Kuching, Sarawak GiLoCatur could only follow the championship from afar. For the first time, GiLoCatur's only daughter, Anis Fariha, take part in the Individual event. She plays for Selangor along with Nur Nabila Azman Hisham in the P18 (Girls Under 18) category. Losing the first round, Anis won the next four rounds. Entering the final round, Anis is currently third in the ranking with 4/5 points after Kwong Jia Yee of Johor and Jessica Augustine of Negeri Sembilan. There are two other players sharing the point. Jia Yee has to face Nabila on the top board while Jessica will be challenged by a Kedahan player named Nurul Syazwani at table #3. Meanwhile, Anis play white against another Kedahan player, Fairuz Hamizah. Fairuz is no stranger to GiLoCatur. 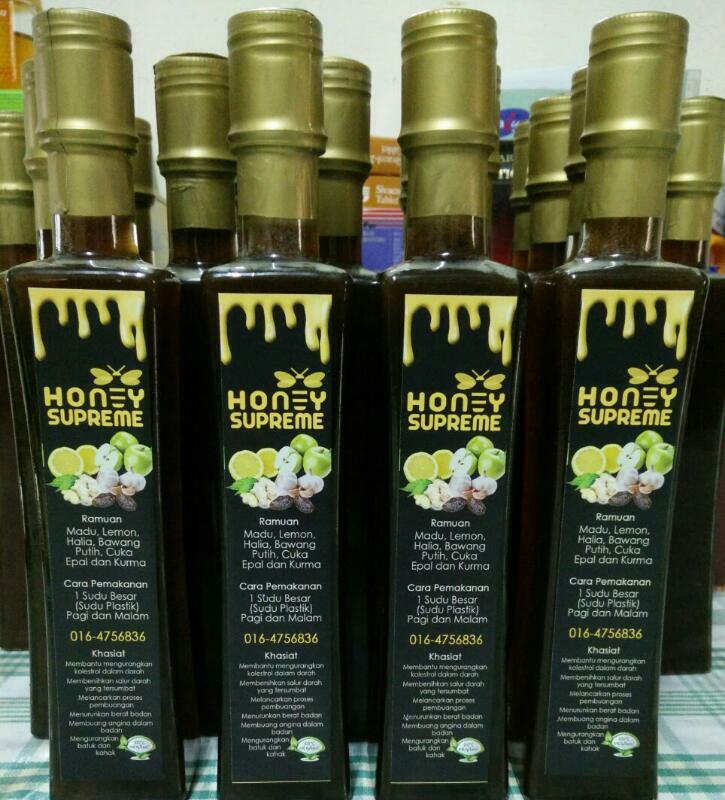 GiLoCatur knew about her since December 2007 in a chess tourney at Concorde Hotel, Shah Alam. It is beyond GiLoCatur's prediction and expectation for P18 Individual category. As GiLoCatur sees it, each of the top five players in the ranking has the chance to become the champion. Johor can get a gold medal in this category if Jia Yee can win against Nabila. If both Nabila and Jessica win their respective games as well as there is a winner between Anis and Fairuz match, three players will share 5/6 points. The winner will be decided by tie-break. GiLoCatur notices that Personal Encounter or PE will not be used to determine the final ranking. GiLoCatur can feel the pressure and stress the players are facing and experiencing getting into the tournament venue. 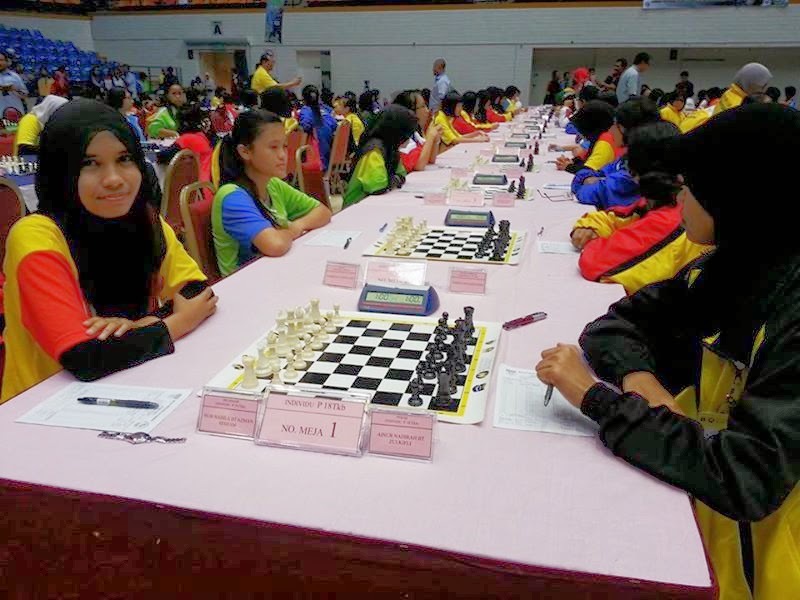 BEST OF LUCK to all the participants in the 2014 MSSM chess championship especially Anis Fariha and Fahim Al-Faqeh, GiLoCatur's daughter and youngest son and surely their Selangor chess contingent. Oh Noooo, GiLoCatur was sniped ... digitally!! Mmmmm now GiLoCatur knows how he looks like while blogging ... Thank you, Gilachess! The critical final round of 2014 Malaysian National Closed chess championship is underway at Level 2 of Wilayah Complex. As clearly shown by below Round 8 results, Yit San who played white had the critical win against Ismail Ahmad on the top board. In GiLoCatur's opinion, this match will determine the champion. Playing white too, Sumant keeps his dream of being the champion open. He won against Justin Ong at Table 2. 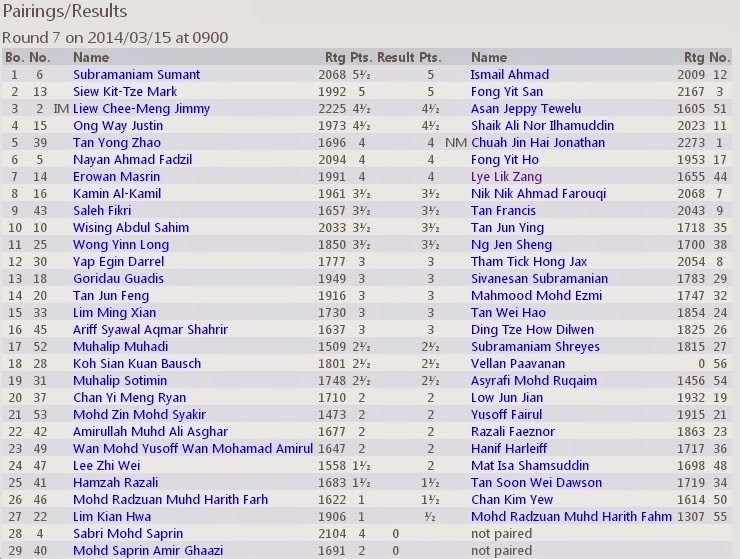 Seeded third, Yit San currently leads the pack after Round 8 in the NCC 2014, Men's category. He won all his games except the third round. Trailing half point is Sumant Subramaniam, the sixth seed. Four other players have 6/8 points and another four have 5.5/8 points. 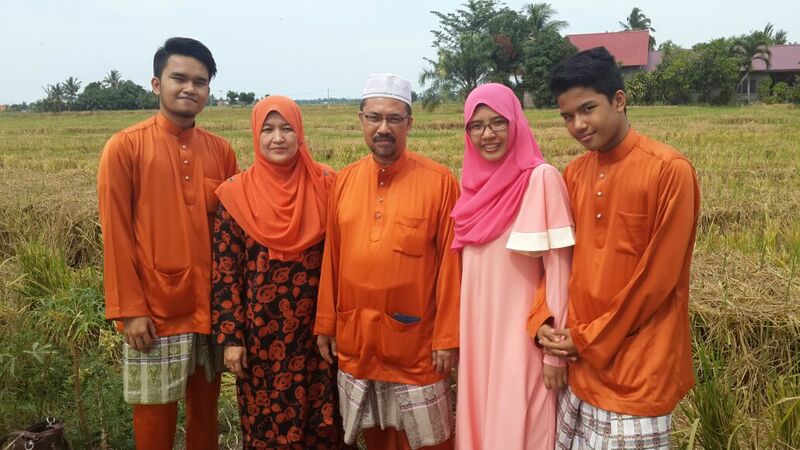 GiLoCatur's eldest son, Fikri, is in another 5/6-point group. Fikri drew his 8th round game against Yit Ho. Let's study every possibility the final round match ups as per below picture. If Yit San wins, no doubt he will be declared as the champions since the closest rival, Sumant, will only score 7 1/2 points after winning over Masrin. If Yit San draws and Sumant wins, both will have same 7.5/9 points. Who will be the champion? Would there be a play-off? If Yit San lose, Sumant will become the champion if he wins. How about if Sumant draws or lose? Three players will have the same point which is 7/9. It can become four or even five depending on Fadzil Nayan and Ismail Ahmad game results at Table #3 and Table #4 respectively. If one of them wins, four players will have 7/9 points. If both of them win, then five players will share the 7/9 points. Wah ... interesting eh! Is GiLoCatur's analysis here correct? GiLoCatur is not sure. It is a haze out there. GiLoCatur's mind is actually not in the best position. 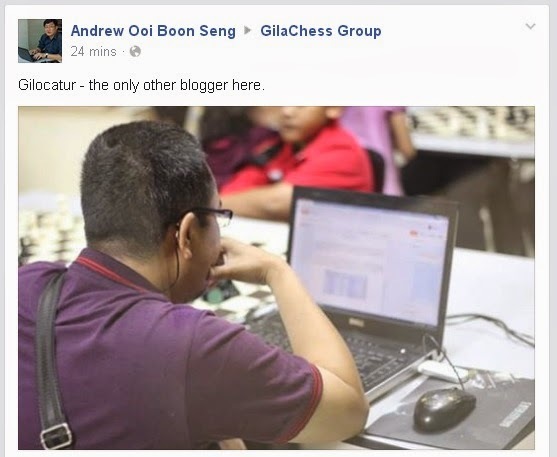 Please go to http://nc-2014.blogspot.com/ manned by Gilachess, one of Malaysian "otai" chess bloggers to view the photos and updates on the NCC 2014. Now the questions that GiLoCatur posted in earlier entry have been answered. Former World Police champion, Ismail Ahmad, managed to stop Sumant from being the leader in the tournament. While Yit San emerged as the winner for the Mark Siew - Yit San match. 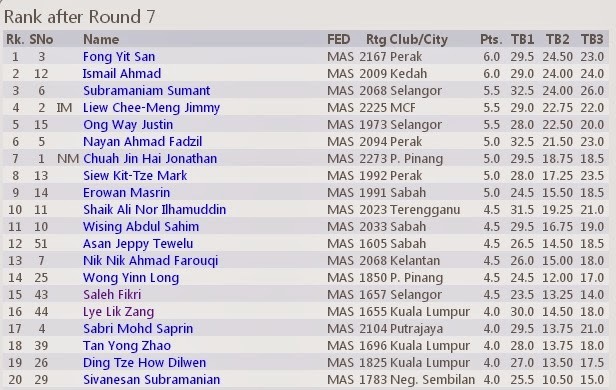 In fact, Yit San now becomes the leader having same 6/7 points with Ismail. Both of them are paired against each other in the next 8th round. For sure, the NCC 2014 is becoming more and more interesting and suspense. Got to go now. The 8th round will start within 5 minute of time. GiLoCatur is still at the restaurant located opposite the Pertama complex and Mara building where GiLoCatur and Fikri had lunch. The Malaysian National Closed Chess Championship (NCC) 2014 is entering its final stage today. Two thirds or six rounds had already completed. GiLoCatur just gets the opportunity to blog about it today. 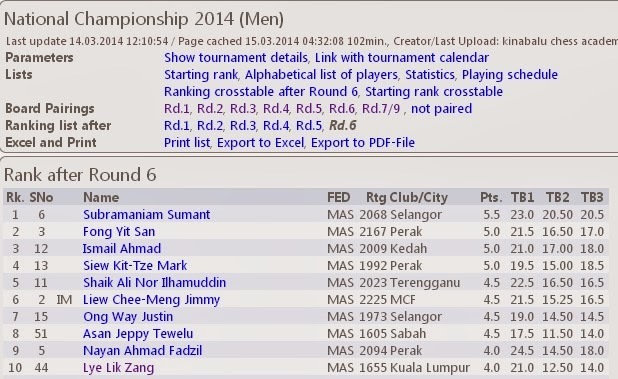 Based on below Top 10 Rank after Round 6, Sumant Subramaniam is leading with 5.5/6 points. Three other players are trailing half point with 5/6 points. The top four players are facing each other in the seventh round. On top board, Sumant is challenged by former Police World Champion, Ismail Ahmad. Mark Siew plays black against Yit San. Can Sumant win the critical 7th round to continue the lead? Can Ismail Ahmad stop Sumant from having full point ? What the result will be for Mark Siew and Yit San match? Both players represent Perak in this championship. Let's wait to find out the answers. As for GiLoCatur's eldest son, Fikri, who is among the participants in the Men's category, as of Round 6 he is ranked 22nd with 3.5/6 points. He started the first day with zero win. In the first round he played against the 15th seed, Justin Ong, playing black. In the second round, Bausch Koh who will be representing MSSWP KL in the MSSM chess championship in about two weeks time. Fikri won his third round game against young Kelantanese player, Mohd Syakir Mohd Zin playing black. 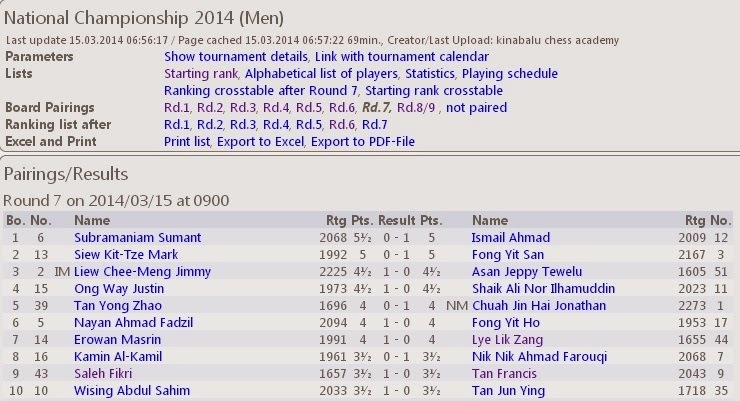 He managed to get a victory over the most senior participants (if not mistaken) in the championship, Mr Lim Kian Hwa in the second game on the second day. 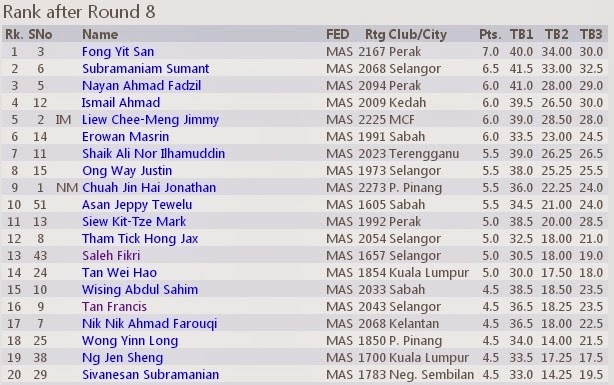 The third day is the longest playing rounds for Fikri. In the morning game, he won against another MSSWP KL player, Darrel Yap. In the afternoon game, Fikri played against 2000-rated opponent from Sabah, Abdul Sahim Wising. GiLoCatur knew that the their match had yet completed by 7.00PM since Fikri had yet called or text GiLoCatur to fetch by that hour. In fact, the match was the last one to finish. Fikri managed to draw the game. Both Fikri and GiLoCatur know that the next opponent most probably become tougher and tougher. Checking the pairing online last night, the opponent in the 7th round is Francis Tan who had an amazing win in the third round against the second seed. Hopefully, Fikri can produce a good result.